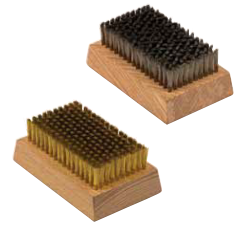 Tanis Brushes for the Flexographic Industry are made with the highest quality materials to assure consistent brushing action and longer brush life. Anilox rollers should be cleaned on a regular basis for best results. When cleaning a stainless steel roller use a brass brush and use a stainless steel brush to clean ceramic rollers. 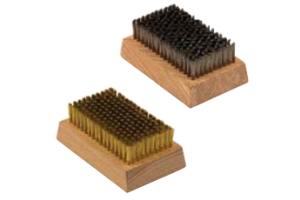 Nylon, horse hair and pure bristle provide different grades of stiffness for light cleaning.